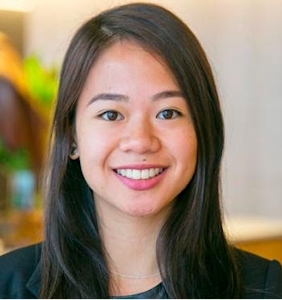 Thanks to the generous support of the Australian Government Solicitor, the Centre is delighted to welcome our new Secondee Policy and Project Officer, Julianne Tiglao. Julianne joins us for six months and was recruited by the AGS specifically for the secondment. Julianne is a recent Law Graduate from the University of New South Wales, who studied a dual Criminology and Criminal Justice/Laws degree. During her studies, Julianne demonstrated her passion for social justice through her involvement with several community legal centres. For example, Julianne completed a Family Law Community Legal Education Clinic at Kingsford Legal Centre, a Police Powers Clinic at Redfern Legal Centre and a Social Justice Internship at the National Children’s and Youth Law Centre. Julianne also volunteered at the NCYLC providing legal information and advice to young people, and the Western Sydney Community Legal Centre as a Volunteer Legal Information and Referral Officer. More recently, Julianne worked as a Paralegal in King & Wood Mallesons’ Pro Bono and Community team. At KWM she contributed to the TalkLaw program, a new pro bono community legal education initiative that aims to provide young people with information about their legal rights and responsibilities in several areas, such as consumer law, employment law, social media, intellectual property and police powers.